Persons with mental illnesses die up to 25 years earlier and suffer increased medical co-morbidity. They often die from tobacco-related diseases. 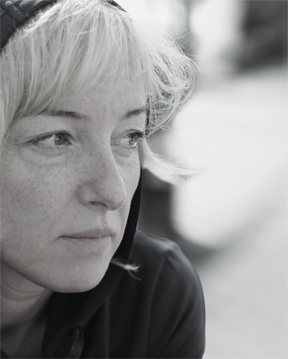 A growing body of research shows that smokers with co-occurring psychiatric and/or addictive disorders want to quit, are able to quit, and quitting does not threaten their recovery. With this knowledge, behavioral health and primary care provid­ers can encourage and help their patients with mental illness and/or substance use disorders to quit smoking. The purpose of this course is to provide mental health and substance use disorder provid­ers and counselors with the knowledge, skills and confidence necessary to assess and treat tobacco dependence in smokers with co-occurring psychiatric and/or addictive disorders. 1. Describe population-based trends of tobacco use among smokers with co-occurring mental health and/or substance abuse disorders. 2. Recognize and counter the factors in mental health and addiction treatment settings that have served to maintain tobacco use in populations with mental health and/or substance use disorders. 3. Identify and implement evidence-based treatment for treating tobacco dependence. The University of California, San Diego School of Medicine is accredited by the Accreditation Council for Continuing Medical Education to provide continuing medical education for physi­cians. AMA: The University of California, San Diego School of Medicine designates this enduring, online course for a maximum of 2 AMA PRA Category 1 Credit(s)™. Physicians should claim only the credit commensurate with the extent of their participation in the activity. APA: (Full attendance is required): The University of California, San Diego School of Medicine, Department of Psychiatry is approved by the American Psychological Association to sponsor continuing education for psychologists. The University of California, San Diego School of Medicine, Department of Psychiatry maintains responsibility for this program and its content. BBS: Course meets the qualifications for 2.0 hours of continuing education credit for MFTs and/or LCSWs as required by the California Board of Behavioral Sciences. (UCSD Provider Number PCE 683). BRN: For the purpose of recertification, the American Nurses Credentialing Center accepts AMA PRA Category 1 Credits™ issued by organiza­tions accredited by the ACCME. For the purpose of relicensure, the California Board of Registered Nursing accepts AMA PRA Category 1 Credits™ (report up to 2.0 hours of credit and list “CME Category 1” as the provider number). NAADAC: UC San Diego Continuing Medical Education is approved by the National Associa­tion of Alcohol and Drug Abuse counselors to provide continuing education for NAADAC certified counselors. This course is approved for up to 2.0 credits. (NAADAC approved provider #849). 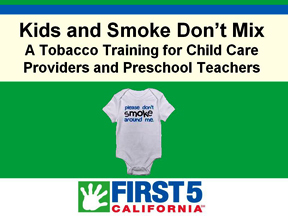 The California Smokers' Helpline is pleased to offer a new online training, "Kids and Smoke Don't Mix: A Tobacco Training for Child Care Providers and Preschool Teachers." "Kids and Smoke Don't Mix" is a self-paced, FREE online training that takes approximately 45 minutes to complete. It is offered in English and Spanish. The training was funded by First 5 California and is designed for participants in its CARES Plus program, which seeks to "increase the quality of early learning programs for children 0-5 and their families." The training is required for all CARES Plus participants, but is also freely available to others. So far, over 900 participants throughout the state have completed this informative new program. For more information, please contact Kirsten Hansen at k3hansen@ucsd.edu or (858) 300-1012.